Last month, Pakistan conducted two tests of its Nasr/Hatf-IX close-range ballistic missile. Pakistan boasts that the missile, capable of carrying nuclear weapons, can beat India’s best missile defense systems: the S-400s it recently bought from Russia. Designed for forward deployment, experts fear Nasr makes the use of nuclear weapons more likely. Pakistan’s military inducted the Nasr missile into its arsenal in 2017, Sputnik previously reported. The missile is described by the Inter Services Public Relations (ISPR), the media wing of Pakistan’s military, as “a high precision, shoot and scoot weapon system with the ability of in-flight maneuverability,” according to a January 24 press release. The Nasr system has a 70-kilometer range and is designed to counter India’s “Cold Start” doctrine, a rapid-mobilization battle plan purported to guide India’s military brass in the case of a limited war with Pakistan. India’s Defense Ministry maintained in 2012, “There is no Cold Start doctrine,” but those comments followed 2011 drills in which the Indian military drastically reduced mobilization times on the western frontier from 27 days to only 48 hours, Daily News Analysis India reported at the time. In this Jan. 23, 2006 file photo, indigenously developed medium range missiles Agni-I, left, and Agni-II, right, are displayed during Republic Day rehearsals, in the backdrop of the presidential Palace in New Delhi, India. India successfully tested a medium-range version of its most powerful nuclear-capable missile on Thursday, Nov. 25, 2010, as part of an army training exercise Defense Ministry spokesman Sitanshu Kar said. The upgraded Agni-1, with a 435-mile (700-kilometer) range, was fired from a testing range on an island off the eastern state of Orissa, Kar said. “[We] know that the future wars will be short and intense, and when short and intense wars are the future forms of combat, you have to be prepared to move fast,” Rawat also noted. The mobility, range, precision and rapid-fire capability of the Nasr all play into Pakistan’s response to Cold Start. “This weapon system has augmented Full Spectrum Deterrence posture remaining within the precincts of policy of Credible Minimum Deterrence, against prevailing and evolving threat spectrum more effectively including enemy’s ballistic missile defence and other air defense systems,” ISPR’s January 24 statement says. The second test, conducted on January 28 and January 31, “included quad salvo” in phase one and “testing the extreme inflight maneuverability, including the end flight maneuverability; capable of defeating, by assured penetration, any currently available BMD [ballistic missile defense] system in our neighborhood or any other system under procurement/development” in phase two, according to ISPR statements at the time. For India, that would be the S-400 Triumf air defense systems it’s just procured from Russia. In October, Moscow and New Delhi penned a deal for $5 billion worth of the state-of-the-art missile systems to be delivered to the South Asian country by October 2020 “without any delays,” Russian Deputy Foreign Minister Sergey Ryabkov said last month, Sputnik reported. The S-400 can pick multiple targets out of the sky at distances up to 400 kilometers away. But that’s only the latest in the arms race developing in South Asia. 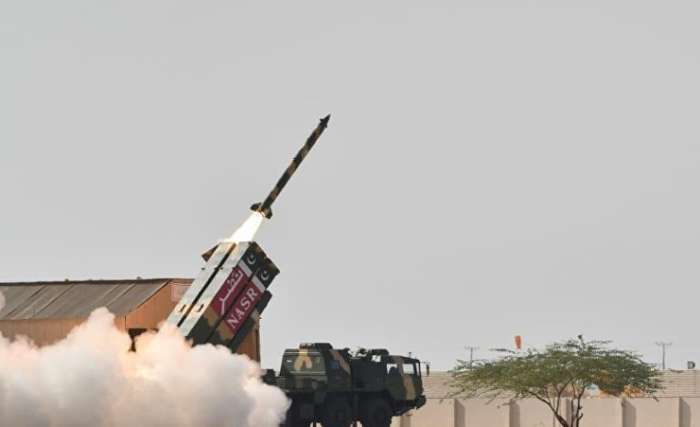 Last September, India’s Defense Research and Development Organization, the army’s state-owned weapons lab, tested the Prahaar missile, explicitly designed to counter Pakistan’s Nasr systems. Prahaar has almost twice the reach of Nasr, with a range of 150 kilometers, but only carries conventional weapons. By contrast, Nasr can be equipped with nuclear warheads. The situation hasn’t escaped US attention, either. In the Department of Defense’s 2019 Missile Defense Review, published late last month, the Pentagon notes that the US has “emerging security relationships with others such as India,” and has “discussed potential missile defense cooperation” with the country. “A number of states in South Asia are developing an advanced and diverse range of ballistic and cruise missile capabilities. Within this context, the United States has discussed potential missile defense cooperation with India. This is a natural outgrowth of India’s status as a Major Defense Partner and key element of our Indo-Pacific Strategy,” the review also notes. 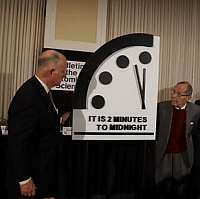 But Pakistan isn’t the only one raising eyebrows with low-yield nuclear weapons. Last month, the US finished overhauling its W76 nuclear warhead arsenal, preparing the way for the development of the W76-2, a low-yield version of the bomb requested by the 2018 Nuclear Posture Review, Sputnik reported.